A couple weeks ago, newport2newport issued a challenge to her LiveJournal friends to begin posting signs of spring, and I have to admit, while I’ve enjoyed looking at all of your crocuses and marypearson ‘s gorgeous California blooms, I’ve felt a little left out, living way up in Northern NY where the weather pays no mind to the calendar. Today, I have my own "Sign of Spring" photo. 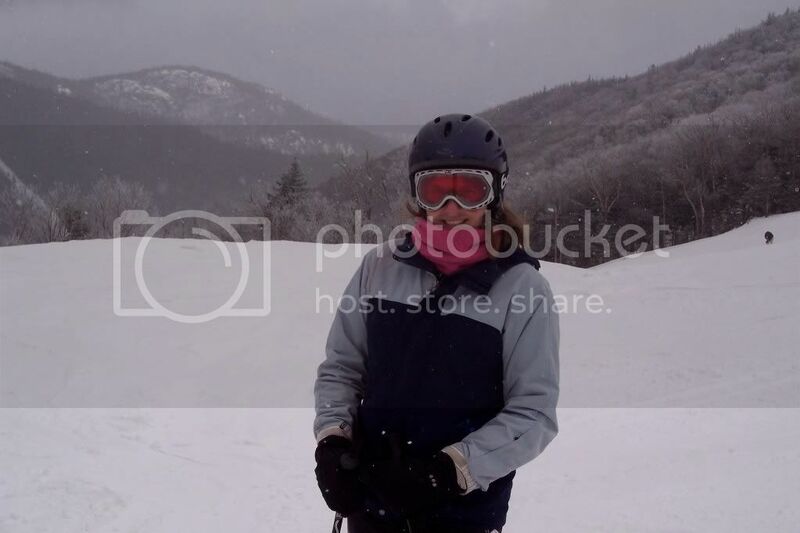 This is me, celebrating spring at Whiteface Mountain today, and yes, it was snowing. But wait… See that sort of bare, brownish spot in the woods on the mountain over my right shoulder? That is serious spring action. The daffodils and lilacs should be here any day month now.